Latest Updates of Paytm 100% Off Promo code of Feb month For all new and Old Users. This Time Paytm will give Flat Rs 50 Cashback on adding money ,Recharges, Bills or any services. Paytm Is giving 100% Off Coupons , Promo codes Offers for recharge , bill offer, new user offer Which all are updated daily here just visit full post and get cashback on every transaction on paytm. Also if you travel via bus then book bus via paytm and get huge cashback via our daily updated Paytm bus Offers , Flight Offers , Movie Offers. Also you book bus via redbus and get amazing offers check redbus offers. Paytm is an Indian e-commerce recharge & shopping website which initially focused on Mobile and DTH Recharging and later added Online Shopping, Bill Payment, Bus Ticket Booking, Semi-Wallet & many more facilities. Recently they came up with there first television advertisement for promoting there business by providing Paytm 100% Off Promo code, Offers and cashback to attract new customers. Today, it is India’s most popular online destination for mobile and DTH recharges and shopping, and its Android and iOS apps have been ranked among the most popular apps. It works with the all mobile operators in all states in India for prepaid mobile, DTH, and Datacard recharges and postpaid mobile, landline, and Datacard bill payments. 2.1 Add Rs. 1500 or above using Bhim upi & get Rs. 50 cashback in your wallet. 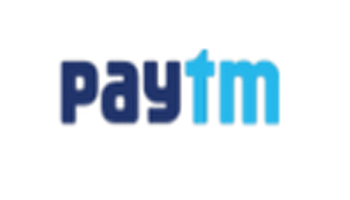 Click here to Know Paytm New user Updated Deals for Rs. 20. Visit our Dth recharges Offer article to get latest dth Offers. Add Rs. 1500 or above using Bhim upi & get Rs. 50 cashback in your wallet. Applicable on upi transaction only. No other card will be eligible for this offer. Code can be used one time per customer, per card, per calendar month. This will be valid for minimum transaction Rs. 1500. Not applicable on any other category. BONUS – Apply Code on above Rs 2000 when you add money to get Rs 20 Cashback 5 Times, You have to pay using Debit Card or Upi. You can Avail Rs 100 Cashback Every month. GET5 – This will work on Recharge , Dth , Bill Payment Etc where was GRAB Code Working. Working one time per user. 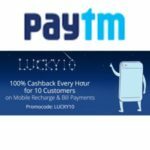 PAYTMJIO – Get Rs. 20 Instant Cashback on Rs. 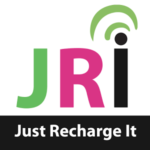 398 or above Reliance Jio Recharge , You can use this codes One Time only. Valid on both Prime and Non-Prime Plans. Offer valid only on Jio Recharges. You will also Get Rs. 150 off on Movie Tickets. First time you can avail 100% Cashback up to Rs. 500 by Applying Code – FREEPOWER , After this Use offer – POWER to get Rs. 50 Cashback on Rs. 1000 bill. Code – METRONOW , One user can avail 3 times. Use DEN for Den Users to get Rs. 50 Cashback on Rs. 393+ Bill & Use CONNECT for Connect User. 1 User can Use this Coupon Unlimited Times. Extra Cashback amount will be credited into Paytm wallet under 24 hours. Valid only for new landline Users. Get Rs. 25 cashback from Rs. 500 to Rs. 1999. Get Rs. 50 cashback from Rs. 2000 to Rs. 9999. Get Rs. 500 cashback on above Rs. 10000. Now All users can get benefit of this code- GRAB4 and get Flat 4% Cashback up to Rs. 20 and You can also use up to five times per account , But you need to recharge , bill payments , dth , landline Rs. 30 or above. Another main thing is ,this works for airtel network also. Offer is for limited time so grab it fast. Pay toll tax via Paytm and get 10% Cashback on Rs. 100+ by Applying Offer- TOLLDEAL , Offer is valid on first transaction only & Once per user. Maximum You can avail Rs. 50. Follow below steps to avail this offer. Visit Toll Tag recharge page. Select City >> Toll Operator >> Enter Vehicle number & Proceed. Then apply Code to get cashback. If your Electricity Connection is Tata Power in Delhi then Apply Code – TPDDL50 & pay your Elect. Bill Via Paytm to Get Rs. 50 Cashback on Rs. 500+. Offer is valid only on First transaction. This all Offers works day wise & network wise. Valid 5 times per user. Apply – AIRTEL4 on Recharge and bill payments of airtel and get 4% Cashback up to Rs. 200, But you need to do recharge Rs. 30 or above for getting this airtel offer. Apply – IDEA4 on Recharge and bill payments of Idea and get 4% Cashback up to Rs. 200, But you need to do recharge Rs. 30 or above for getting this Idea offer. Apply – AIRCEL4 on Recharge and bill payments of Aircel and get 4% Cashback up to Rs. 200, But you need to do recharge Rs. 30 or above for getting this Aircel offer. Apply – VODAFONE4 on Recharge and bill payments of Vodafone and get 4% Cashback up to Rs. 200, But you need to do recharge Rs. 30 or above for getting this paytm Vodafone offer. Apply – TATA4 on Recharge and bill payments of Tata and get 4% Cashback up to Rs. 200, But you need to do recharge Rs. 30 or above for getting this paytm Tata offer. Apply – MTNL4 on Recharge and bill payments of Mtnl and get 4% Cashback up to Rs. 200, But you need to do recharge Rs. 30 or above for getting this paytm Mtnl offer. Apply – RELIANCE4 on Recharge and bill payments of Reliance and get 4% Cashback up to Rs. 200, But you need to do recharge Rs. 30 or above for getting this paytm Reliance offer. Get 10 Cashback on Recharges and bill payments of Rs 400 and above. JIOPRIME – Working only on Jio Prime Recharges. Apply – GRAB100 and get Rs. 10 Cashback on Rs. 100 or more. Offer is valid only If you use this Code in November month on Rs. 100+ Recharge. Apply – LOOT and get Rs. 10 Cashback on Rs. 100 or more. Offer is valid only If you use this Deal in October month on Rs. 100+ Recharge. Apply – MAGIC and get Rs. 10 Cashback on Rs. 100 or more. Offer is valid only If you use this Deal in September month on Rs. 100+ Recharge. Apply – FULLVALUE to get cashback and its working 3 times per user and per number. Working on both recharge and bill payments but not working on airtel network. And its for all users. You get Rs. 25 cashback on Rs. 100 or more prepaid mobile recharge or bill payments on your registered paytm number. Just apply PAYTMAPP before pay to get cashback. This offer is valid for first 3 transaction it doesn’t matter your account is new or old. Pay by any payment method except credit card. You get 100% Cashback voucher on your email. Apply this Paytm 100% off Promo Code when you make payment after entering recharge details – PAYTMKARO . This is also working on Airtel. Working on any amount of recharge but you can get Up to Rs. 50 Cashback. Working once per user. You can use this on Recharge , dth , data card , landline payments , postpaid bills. Working for all users and Paytm app only. You”ll get voucher in your email. Using paytm mobile recharge you can get cash back easily on every transaction. There are many Promo codes for old & new users. You can also use these Paytm Codes for bill payment purpose. We have shared some DTH recharge offers by which you can get Paytm cash back. Make your bus ticket booking experience even more exceptional with Paytm. To give you the most out of it, Paytm is offering cashback offer on every bus tickets booking. You can pay through Debit/Credit card, Net Banking and Paytm Wallet to avail Bus Ticket Offers. With ample bus ticket booking offers at Paytm, you get the opportunity to explore different places for less. So book bus tickets online, only at Paytm! We have also shared some Paytm Shopping Deals by which you can get huge amount of Paytm cash back in your semi wallet. These Codes are highly in demand since it technically makes the price of the product lowest on net. If you have any query regarding any offer then feel free to comment below. You can also share any offer you know in comment section. Discussion on "Paytm 100% Off Promo Code Feb’19 | Rs 150 Cashback on Adding Money"
grab yours quickly before paytm removes it..